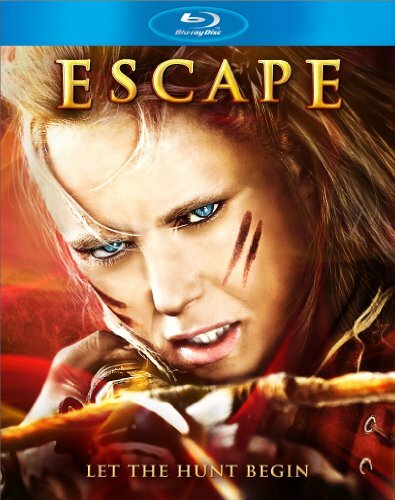 If you�ve been longing to see the be-all/end-all of Norwegian chase films, then 2012�s Escape is exactly what you�re looking for. The brain-child of filmmaker Roar Uthaug (best name ever! ), the man at the helm of the surprise hit, Cold Prey (2006), Escape is just as good-looking as that film, with the wonderful cinematography taking the suspect plot to a higher level than it deserves at times. Also like Cold Prey, Uthaug�s latest effort is aided by the outstanding work of actress Ingrid Bois� Berdal, who portrays the lead character Dagmar. Featured about as prominently as possible on the Blu-ray disc�s case, Berdal makes Dagmar much more complex than the cover art makes her out to be. There is also a pair of young actresses here (Milla Olin and Isabel Christine Andreasen) that perform well beyond their age, and are extremely effective in their crucial roles. Entertainment One brings this great bit of international escapist action fare to Blu-ray in fine fashion, as this is one of their best releases of the year so far. In the grand scheme of things, Escape is a well-made, beautifully shot film that is often very exciting. Unfortunately, it�s one of those movies that are just simply not very memorable, story-wise. Sure, there are plenty of interesting set pieces, including one near the midway point that reveals a cruel, challenging twist, and the protagonist is very likeable, but there�s just something missing that will keep this from remaining in my head for long. Still, the overall ride is a hell of a lot of fun, with the aforementioned twist providing an emotional heft that I certainly wasn�t expecting, so it�s still easy to recommend at least a one-time look at Escape. Entertainment One presents the film in its original 2.40:1 aspect ratio, with an AVC-encoded 1080p transfer that is consistently dazzling. The color scheme is intentionally drab, but well-rendered, with natural flesh toned throughout, and realistic hues dominating each and every scene. Images detail is great, and contrast and shadow levels are well-handled, all of which can be challenging for a film shot exclusively in remote outdoor locations. The audio is offered in both the film�s original, Norwegian language, and a rather atrocious English-dubbed track. The DTS-HD Master Audio 5.1 track is easily the choice to make, as not only are you avoiding the horrendous dubbing and hearing things the way they were originally intended, but, you�re also getting some intense directional effects and booming bass in all of its lossless glory. The extras include the film�s trailer, a two-minute glimpse at the way the visual effects were handled, nearly six minutes of deleted scenes, and almost two minutes of some rather funny bloopers.